I am listing here all my discontinued patterns (PAPER ONLY) at a discounted price limited to stock on hand. Once I've sold these I will not be printing more. 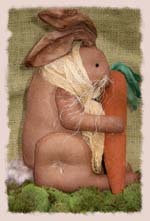 This 10" simple bunny is made of osnaburg and then aged with a special mixture. He looks so cute munching on his little carrot made of W&N batting. A sweet and simple bunny. 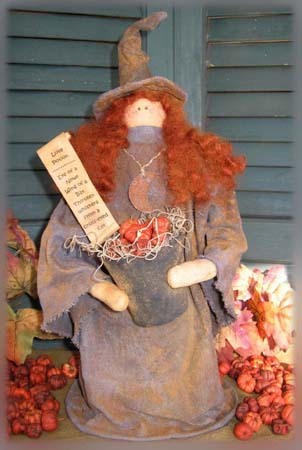 This 10" Witch is simple but unique. The Love Potion lists are included in pattern. Order rusty moon and pudka pods at www.country-whims.com (Only available as a paper pattern). These 14" tall black dolls love to hang out in the melon patch. 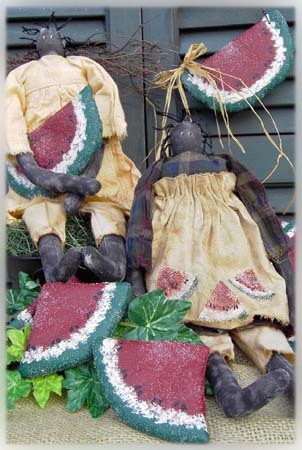 Easy to make watermelon slices look great as bowl fillers too! 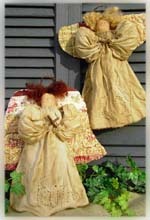 These 11" tall Angels can be made free standing or to hang. 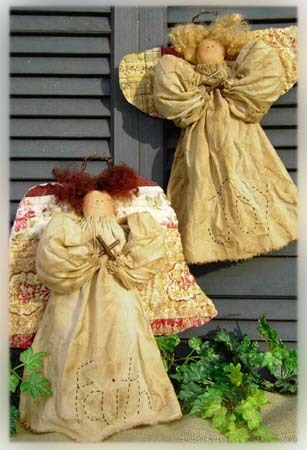 The wings are made from a quilt and stiffened. Order curly wool for hair at www.country-whims.com (Not available as an e-pattern). 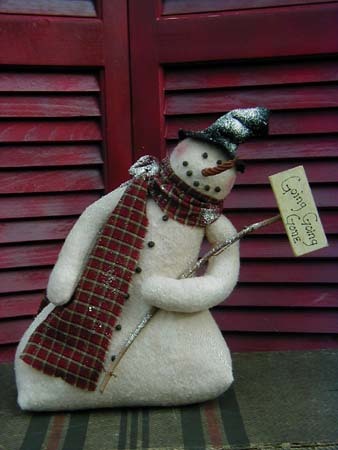 This 11" snowman holds a sign that says "Going Going Gone"......Very easy to make. (Not available as an e-pattern). This 8" tall snowman resembles a snow drift. 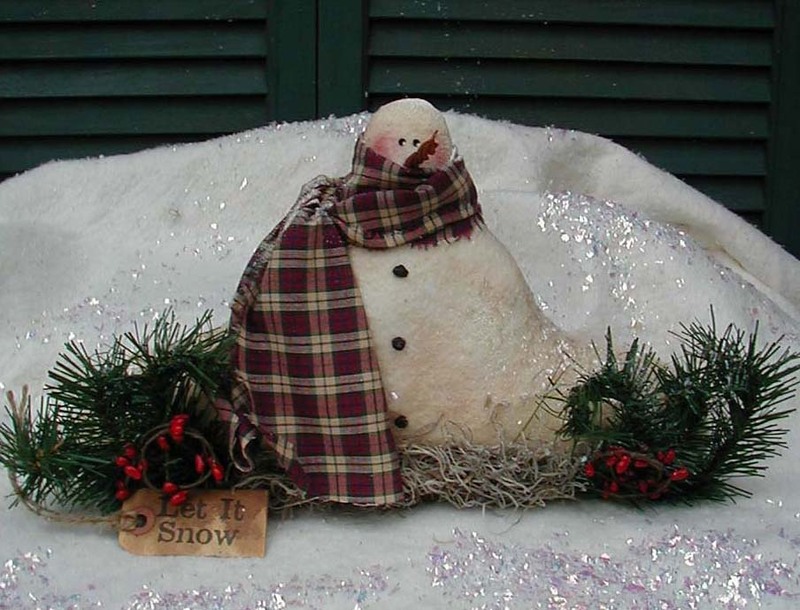 He is made of W&N cotton batting and sprinkled with Old Fashioned Mica flakes. (Not available as an e-pattern).